ESPN’s Sunday Night Baseball Features NL East Showdown as the Atlanta Braves host the New York Mets - ESPN Press Room U.S. The Sunday Night Baseball team of Matt Vasgersian, Alex Rodriguez, Jessica Mendoza and Buster Olney will call the game on ESPN. Jon Sciambi and Chris Singleton will have the call on ESPN Radio. It will be a full national telecast, with both the ESPN telecast and ESPN Radio audio available on the ESPN App. 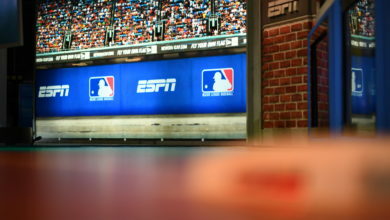 Sunday Night Baseball can also be viewed on ESPN Deportes and listened to on ESPN Deportes Radio.